Holes, in Armored Task Force, provide protected fighting positions to enhance the survivability of either the player's or enemy's vehicles. They are an integral part of a combined-arms defense in modern warfare. You can add holes manually, one at a time. But the easiest way to add holes to your scenario is using the 'Block Add' functions. 1. 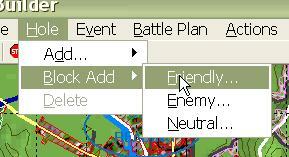 Select 'Friendly' from the 'Block Add' sub-menu of the 'Hole' menu. 2. The Hole Properties dialog allows you to edit the attributes of all of the holes you are adding. Hole Type. All holes are either for dismounts or for vehicles, and the two are not interchangeable. 3. Enter the total number of holes you want to add. 4. Enter the total number of rows you want the holes arrayed into. 5. 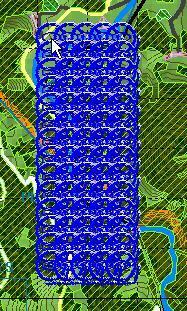 When you move the cursor back to the map, you will find that you are dragging a block of holes. Left-click on the place in which you want to 'drop' the holes.